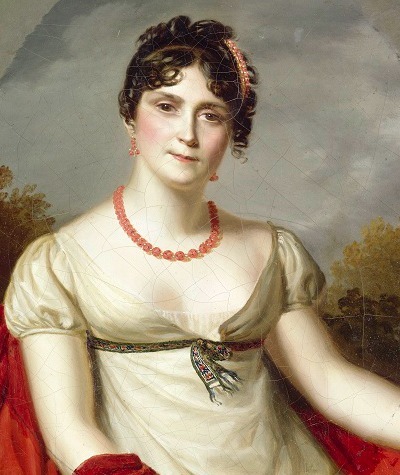 She travelled a fascinating and long way, Marie- Joseph Rose de Tascher de la Pagerie, better known as Josephine de Beauharnais, or Empress Josephine, the first wife of the French Emperor Napoleon Bonaparte. Born on a simple plantation in Martinique, ending up in the beautiful Chateau de Malmaison as the ex-wife of Emperor Napoleon. Born in 1763 on a simple sugar cane plantation Marie Rose had a happy childhood. Playing barefoot with the slave children and sucking on a stalk of sugar cane she was destined for a simple life and she received little education. However, her charm and beauty (except for her teeth which were blackened by the sugar) took here to places beyond what she and her family would have ever suspected. On the plantation a slave read her hand once and predicted that she was getting married twice, and in her second marriage would become higher than a Queen! 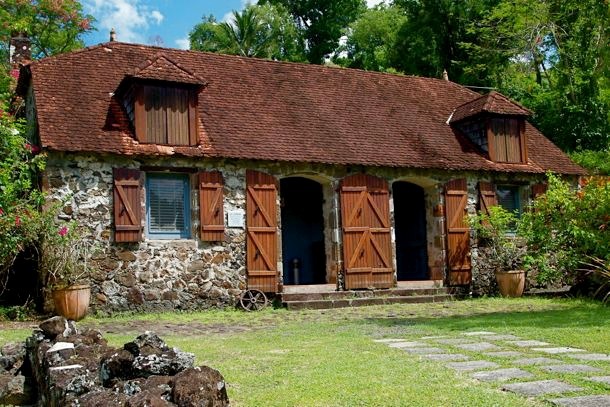 The kitchen of the Tascher de la Pagerie plantation, bitrth place of Josephine de Beauharnais, holds the the La Pagerie Museum. The main house was destoyed in a hurricane in 1766. 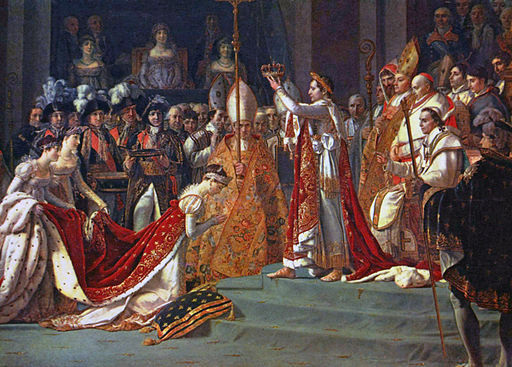 On december 2 1804, this became reality when Napoleon crowned himself Emperor of France, and then put the Crown on the head of his Josephine and made her the Empress of France. 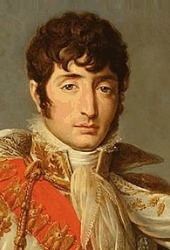 At the age of sixteen, Marie Rose was married off to Marquis Alexandre de Beauharnais. She traveled 8,000 miles to Paris to marry a guy that she had never met! They had two children together, Eugène and Hortense, but the marriage was not a match made in heaven and the couple got divorced in 1785. During the terror of the French Revolution both Marie Rose and her ex-husband Alexandre were jailed, merely because they belonged to the old aristocracy. Alexandre was beheaded on the Place de la Révolution (today's Place de la Concorde) in Paris on	23 July 1794, only 34 years old. Striking detail; Robespierre, one of the instigators of the Terror, was guillotined only five days later, ending the reign of terror. Another salient detail; Alexander and the other victims of the guillotine were buried in mass graves. During the Revolution Alexander had a lover, Princess Amalie Zephyrine of Salm-Kyrburg. After the revolution, which she survived, Amelie found out where her love was burred, together with 1306 other victims (among them the brother of Amelie). She secretly bought the burial place to turn it into a proper cemetery. Find more Stories and Secrets of the French Revolution in a 3-Hour Walking Tour around the most significant places of the French revolution in Paris. Marie Rose and her children were in prison for 3 more months before being saved by the bell; the end of the terror (and the end of the dictatorship of Robespierre who now in turn lost his own head). The widow Marie Rose is 32 years old in 1794. Together with her two children she is taken under the wing of Barras, one of the directors of the new French government. In the circles around Barras, who had noble roots, she met Napoleon Bonaparte. Napoleon is a Corsican General, six years younger than Marie Rose. Althought she is the mistress of Barras, it might have been his doing that Napoleon and Marie Rose met. He had no problem to move his mistress on to someone else. Rose always lived beyond her means and was quite an expensive women to support. His plan succeeded. Napoleon fell head over heels in love with her and they were married in March 1796. Barras even ended up as a witness at their wedding! One thing that Napoleon did not like about Rose was her name. He called her Josephine from the start, and that is how she is still known today. Funny enough, she is known best as Josephine de Bauharnais. The first name is the one Napoleon gave her, the last name is still the one she got when she married her first husband, who she divorced after 4 years of marriage. 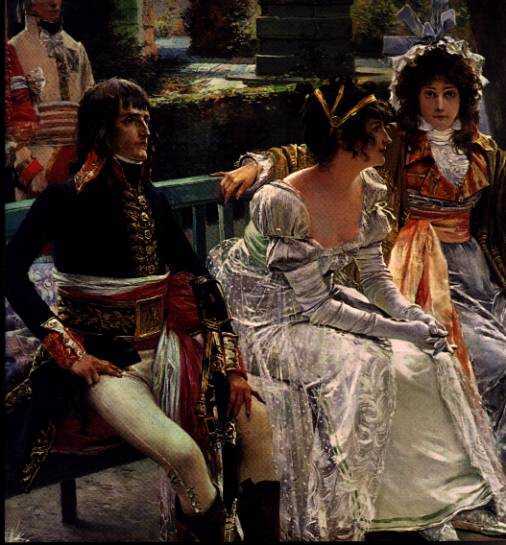 Napoleon did not like their age difference much either, so Josephine lied about her age on the marriage certificate, claiming to be 4 years younger. Napoleon added 18 months to his age, so in the end it appeared as if they were roughly the same age. When Napoleon went on field trip to Egypt his wife bought a small castle with surrounding estate just outside of Paris: Chateau de Malmaison. She hired two architects Percier and Fontaine, to start the costly conversion of the Chateau in the style of classical antiquity. 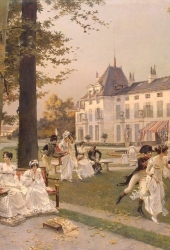 From the start Josephine determined the style and allure of Napoleon's Parisian homes. Joséphine spent millions of francs on furniture, clothes and diamonds. Her taste for clothes was trendsetting in Paris. Now the ancien régime with its powdered wigs, rigid corsets and crinolines was over, dress and hairdo was going the opposite way. The ladies wore gowns of thin, smooth fabric with a raised waist. The dresses were also inspired by the terror. Women who were led to the guillotine, wore a simple, white nightgown. The fact that you had been imprisoned during this period gave status after the revolution. Josephine and the free-spirited Thérésa Tallien, with which she became friends in jail, perfected this new look. While the average Parisian worker had to maintain his family with 600 francs per year in that time, Joséphine bought 900 dresses and 520 pair of shoes in a year’s time. Napoleon was not amused with his wife squandering money like that. But as soon as he came home from his campaigns and was able to enjoy the results of her spending, he would usually come around. He would even throw dresses into the fireplace if he did not like them, or thought she had worn it on too many occasions. 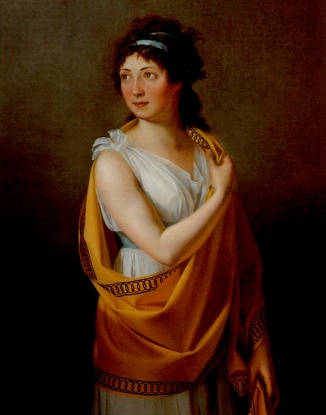 Josephine possessed a high social intelligence and could interact with people of all standards. 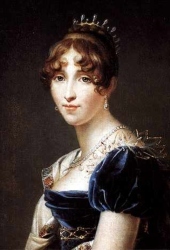 Both she and Napoleon did not take marital fidelity too serious. But that they were devoted to one another is shown by the thousands of letters they wrote, or in fact, he wrote. 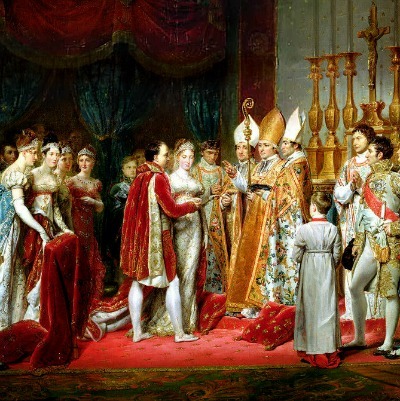 Despite this great love between Napoleon and Josephine the marriage ended premature anyway. In 1810 Napoleon realized Josephine would not be able to give him the long expected heir to the throne. She was 43 years old and had never been pregnant since they got together. He divorced her, but showed his love by giving her several rights. She was allowed to continue to use the title Empress, and he gave her the beloved Chateau de Malmaison where, with some interruptions, she lived until her death. Josephine continued to lead a mondaine life and organize celebrations, parties and balls. 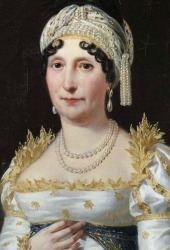 Napoleon married the young Marie Louise of Austria, who finally gave him a son. 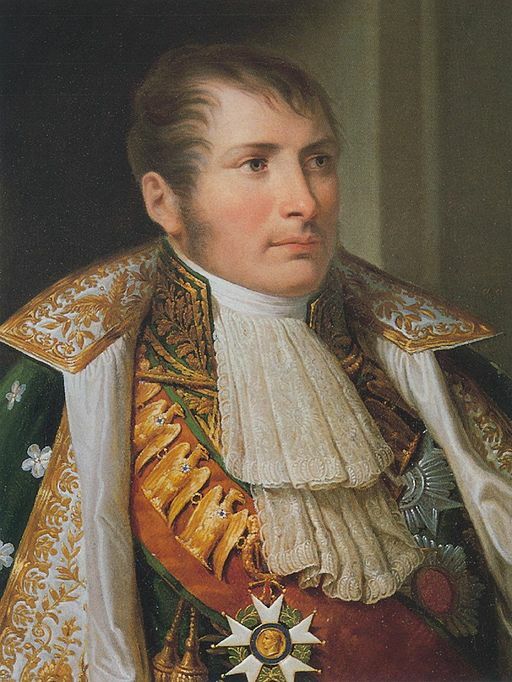 On March 20,1811 Prince Napoleon François Charles Joseph Bonaparte was born (Napoleon II). Ironic is the fact that Napoleon II never ruled over France as his father would have wished and he died childless while in exile in Austria at the age of 21. The two children that Josephine had from her first marriage, however, provided descendants in many European royal families. 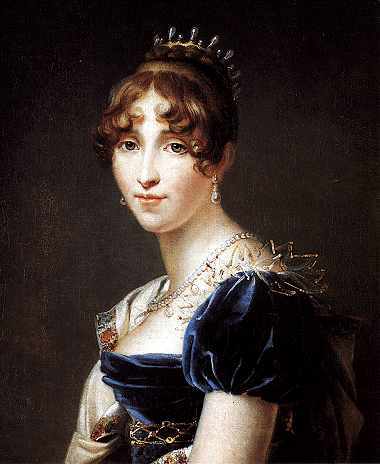 Josephine’s daughter Hortense de Beauharnais married Louis, the brother of Napoleon I and became Queen of the Netherlands. And it was her son, Napoleon III, who would become the second Emperor of France! Josephine’s son Eugene married Princess Augusta of Bavaria, and this happy couple had seven children, who all ended up in aristocratic and royal families around Europe. Eugene’s eldest daughter, named after Josephine by request of Napoleon I, married King Oscar I and became Queen Josephine of Sweden. 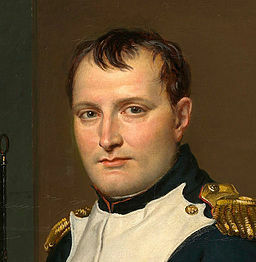 After the major defeat in the battle of Leipzig Napoleon’s reign was almost over and he was exiled to Elba. 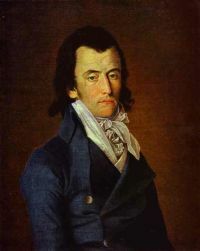 On February 26, 1815 he manages to escape and return to France. This was the start of his hundred days, which ended with the battle of Waterloo on June 18, 1815. Now he was exiled to the other side of the world on the tiny Island of St. Helena. 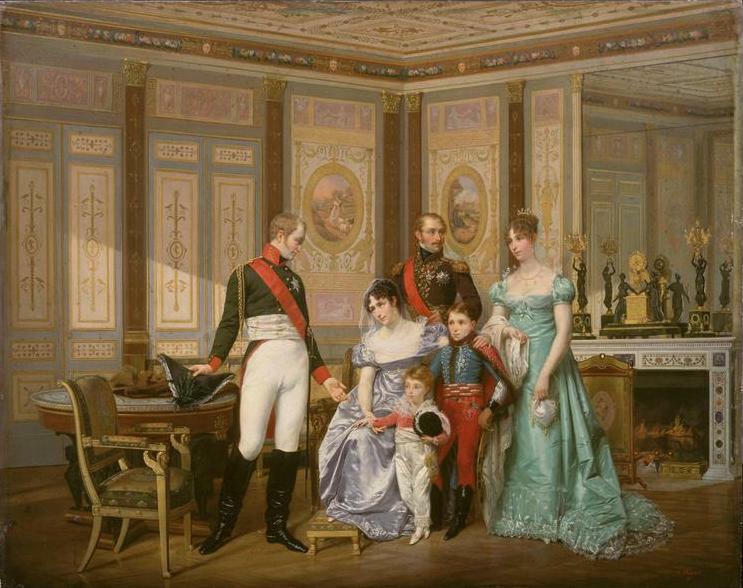 The visit of Tsar Alexander I to malmaison by Hector Viger. Tsar Alexander I entered Paris victoriously where he contacts ex-Empress Josephine. 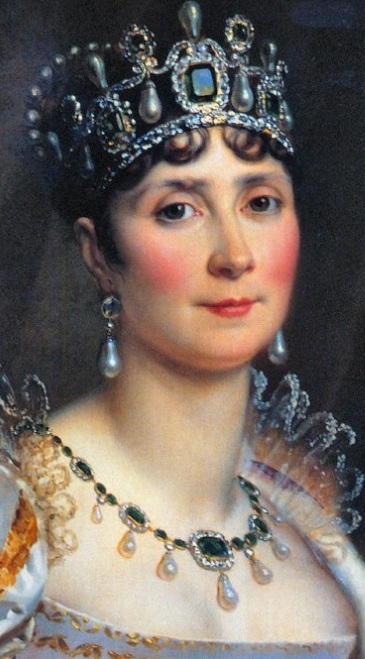 Josephine received the handsome Czar at the Château de Malmaison. What her motives are not entirely clear, but Josephine is probably looking for a new patron now the cards are reshuffled in Europe. All that she owns, including her title, she received from Napoleon, who is now defeated. With here refined approach Josephine charmed the most diverse people, not rarely out on material gain. The Tsar was no exception and was enchanted by Josephine immediately. He even invites Josephine to live in St. Petersburg. But it never came to that. After a meal, Josephine and Tsar Alexander wandered in the rose garden for a while and she showed him her greenhouse. She caught pneumonia that night and died only a few days later, on May 29, 1814 on the first floor of her beloved Castle. 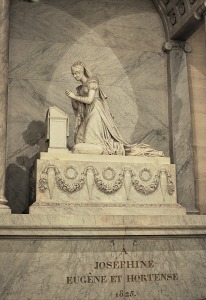 She is buried in the nearby church of Saint Pierre-Saint Paul in Rueil. "Josephine is the only woman I have ever truly loved. She reigns in my heart and I mourn for her."